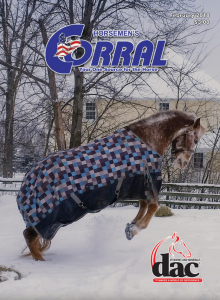 As published in the Horsemen’s Corral Feb. 2018 issue. Last August in Idaho a woman was attacked by a bear. For weeks afterward, local newspapers printed page upon page about the encounter, warning their readers that dangerous animals were prowling the countryside. 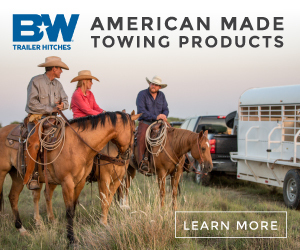 What if you were planning a ride or a horse camping trip when you read about this attack? Would you stay home, take extra precautions, or venture elsewhere? The great counterweight to the lure of the outdoors is the fear of the unknown. What if the weather turns for the worse? What if my horse acts up? What if I become lunch for a grizzly? Here’s the hard truth. Most people spend entirely too much time and energy worrying about menacing—but low-chance threats like bears, cougars, and wolves, and not nearly enough thought concerning themselves with the dull and common dangers like bees, blisters, and hypothermia. To confirm this theory, take a quick test. How many times have you been mauled by a bear or a mountain lion? Now compare that figure with the number of times you’ve forgotten a piece of tack, dealt with an unruly horse, or encountered bees on a ride. One reason that riders and campers worry about the wrong things is largely the fault of the media, and writers like me. 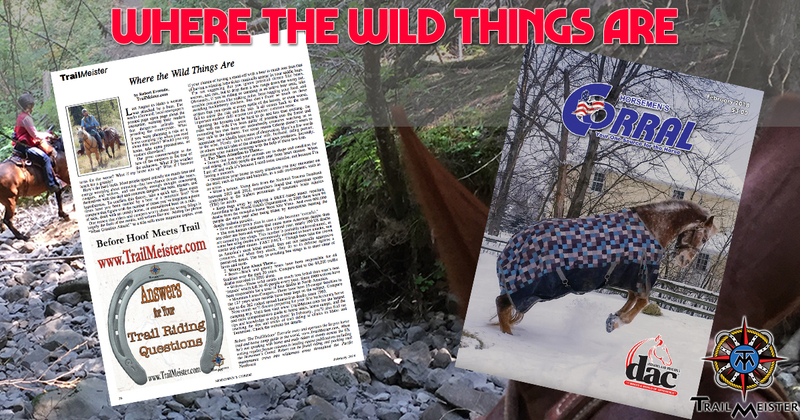 Adding the phrase “When Grizzlies Attack!” to a title sells more magazine copies, even if your chance of having a stand-off with a bear is much less than that of having a winning lotto ticket magically appear in your saddlebags. I’m not suggesting that you ignore potential threats like bears, wolves, and cats, but to drop them a few rungs down the worry list. 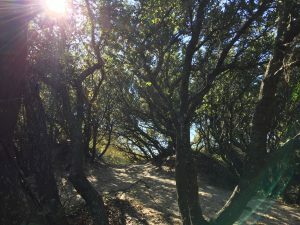 Obviously, if you’re riding or camping in an active bear area, take sensible precautions like making noise, bear-bagging your food, and avoiding huckleberry thickets. But don’t fixate so much on these critters that you spook at every rustle of the leaves, or even worse, fail to enjoy the ride and the trip. It all comes back to the most important outdoor skill anyone can practice: common sense. Ignoring the hysteria can be hard to do and less than exciting. On rides with my wife, I’ve been guilty of pointing into the forest and reminding her that there are undoubtedly creatures watching us as they sulk in the darkness. For some reason, Celeste doesn’t seem to appreciate my wickedly keen sense of observation. Here are a few words to the wise. Firstly, don’t alarm your wife, husband, riding partner, or others with tall tales of the abundance of apex predators. Secondly, prioritize your outdoor concerns with the help of these two lists. Ensure that you and your animals are in shape and condition for trail riding. 610,000 people die each year from heart disease. When I get off and walk it’ because I need some exercise, not because I’m having a moment. 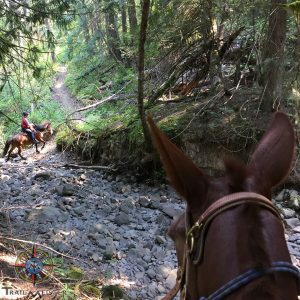 Desensitize your horse to scary situations you may encounter on the trail; such as hikers and bicycles, in a safe environment, such as an arena. Wear a helmet. Using data from the National Trauma Databank between 2003 and 2012, researchers found that equestrian sports contributed to the highest percentage of traumatic brain injuries (TBI) for adults. Keep bugs away by applying a DEET-based insect repellant. – According to the World Health Organization, in 2016 there were 94 deaths from the mosquito-borne West Nile Virus. And over 600,000 people die each year after being bitten by mosquitoes bearing the deadly malaria parasite. The non-human creatures that cause more American deaths than any other are bees and wasps. In a typical year, nearly 100 US deaths are caused by bee stings. This number is probably underestimated, as some bee sting deaths are erroneously attributed to heart attacks, sunstroke and other causes. FAST FACT – Though bees take the crown as America’s most lethal animal, they are not naturally aggressive creatures, and when they attack, they do so in defense against a perceived threat. The key to avoiding bee stings is to steer clear of hives and nests. Bears – Black and grizzly bears have been responsible for 48 fatalities over the past 20 years. Compare that to the 40,200 traffic deaths recorded in 2016 alone. Wolves – These wild canids are much less lethal than man’s best “friends” which kill 30-40 people every year. Since 1900 wolves have been responsible for a total of 4 deaths in North America. Mountain Lions / Cougars – There have been 25 cougar fatalities in the one hundred and twenty-seven years since records have been kept on the subject. Compare that to the 262 rodent spread hantavirus deaths since 1993. 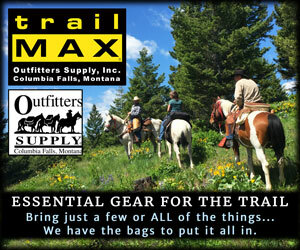 Next month we’ll discuss preparing for your first backcountry horse camping trip. Until then visit www.TrailMeister.com for the largest and most comprehensive guide to horse trails, horse camps, and the tips and knowledge to enjoy them! 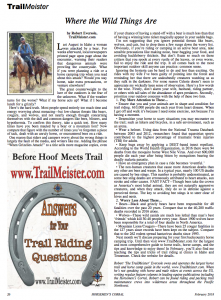 In February, you’ll also find me teaching the tips and tricks of trail riding at clinics in Idaho and Tennessee. Check the website for details.